When it comes to finding the perfect car loan, there are plenty of fish in the sea. If you've found the car that takes your breath away, it's time to find the finance deal that does the same. 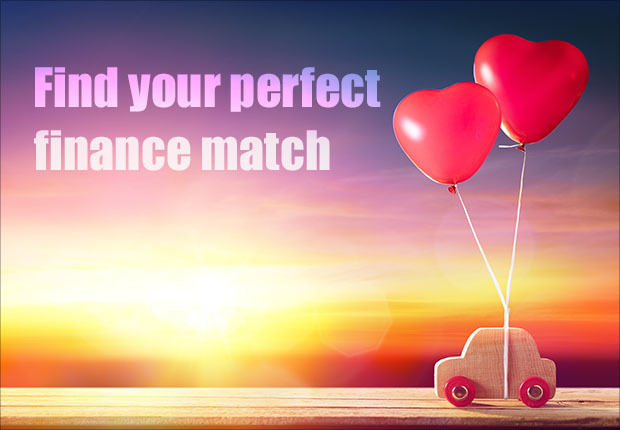 These are the four most eligible loan types our finance consultants (or 'finance matchmakers') have for our customers – which one will be your perfect match? As an electrician, Steve's first love was his daily Big-M. Until he fell head over heels for his HiLux. They spent every day together, driving from job to job. Steve kept her clean and well-serviced, and the HiLux would carry Steve's tools and ladders. Because his HiLux was used 80% for work-use, Steve's stratton finance consultant hooked him up with the perfect Chattel Mortgage to give Steve and his HiLux their happily ever after. A Chattel Mortgage is a perfect fit for both businesses and individuals who are looking for a vehicle which will be predominantly used for business purposes. With a business vehicle, any GST-registered company can claim the GST on the vehicle's purchase price as an Input Tax Credit on their next Business Activity Statement (BAS). A Chattel Mortgage (like a house mortgage) is a type of loan that holds the asset being financed as security on the loan. This simply means that for a Chattel Mortgage the car is used as security until all payments have been made. Sparks flying between you and a Chattel Mortgage? Give one of our finance consultants a call on 1300 (STRATTON) 787 288 or get an online quote to get something special started. On the weekend, Kate loves nothing more than hitting the open road and driving toward the horizon. She works hard, and isn't afraid to admit that she loves only the newest model cars, and isn't keen on keeping them around for more than 3 years. When she spoke to her finance consultant at stratton, they organised a 3-year car loan for her that allowed her to trade-in her old car, and add on a balloon payment to keep her monthly repayments down, so she could have more money in her pocket to enjoy her weekends away. Matching with a Car Loan is ideal for those who wish to purchase a new model car (generally no more than 5-10 years old) which will not have any (significant) business use. The flexibility of a Car Loan means this loan type is perfect for a whole range of different drivers. The loan can be tailored to you by allowing a range of contract terms (anywhere from two to seven years), and the ability to accept deposits/trade-ins, as well as adding a balloon payment, which can help to keep your monthly repayments down. Can't stop thinking about a Car Loan? Get the ball rolling by speaking to a stratton finance consultant on 1300 (STRATTON) 787 288, or get a no-obligation 60-second online quote. There are many things that Craig loves; he loves his wife, his three kids, and his job. He also loves his new car. One thing Craig doesn't love, is having to save up his money to pay for petrol, for rego and for all the other costs he forgets come with owning a car. So, Craig's stratton finance consultant (and his employer) organised a Novated Lease so Craig can continue enjoying all the things he loves, without having to worry about ensuring he's saving enough on the side for all those annoying car costs. A Novated Lease is suited to those who are in permanent full-time work and want to salary package both their car payments and operating costs into one simple tax deduction. Because all the costs are taken care of, you don't have to worry about budgeting for lump sum payments (such as registration, insurance and servicing). It also means that you don't have to budget for petrol and car washing costs. It also suits people looking to enhance their savings. Because a part of your repayment come from your pre-tax salary, plus everything is GST free which could mean savings of thousands over the lease term. Plus, no business use is required! Has a Novated Lease caught your eye? Call our specialist team on 1300 (STRATTON) 787 288, or use our online Novated Lease calculator. Sarah loves cars with character and history, which is why she loves finding cars from the 60s and 70s and doing them up. Because of her love for all things vintage, her stratton finance consultant found her the perfect Personal Loan to keep her love thriving. Now Sarah doesn't have to worry about having a mortgage over her car, plus she can shape the loan to suit her needs – not the banks'. Now that's a love story. Time to get personal with a Personal Loan. This loan type is suitable for drivers who wish to get finance on a car that is outside of normal lending guidelines. This can mean they are looking to finance a low value vehicle, want finance for the car and another purchase (accessories for the car or another purchase) or they do not want to have a loan secured against their vehicle. A Personal Loan is also a match for those who are after the flexibility of a Car Loan, as they also offer flexible contract terms, deposits and trade-ins available, and a tax deduction if the vehicle is used for business purposes. Think a Personal Loan is the way to go? Get started by speaking to your personal finance consultant on 1300 (STRATTON) 787 288, or get an online enquiry.